La Baita Val be against was refurbished according to the type of mountain huts but putting all the amenities for a relaxing holiday. It consists of a spacious living room-kitchen containing both a stove with wood burning stove that a gas kitchen, two bedrooms with attached mezzanine floors for a total of 6/7 beds and a bathroom with shower. From the hut you can enjoy a wonderful view of the mountains. Guests have a comfortable outdoor green space with barbecue and a large table for lunch or dinner surrounded by nature and sun beds for sunbathing. As part of eco-friendly energy and nature, the cabin benefits from the electricity produced in an autonomous way by the solar panels and water collected in underground tanks. Authentic Baita, very well equiped, you feel the owners love their place. We had a warm welcome with good explanation of the Baita. We love to hike, perfect area even immediately from the house. We love to cook and the options we had to prepare our meals were numerous! Indoor wood stove (besides the regular gas stove) outdoor wood stove. After cooking outside we made a fire in the fire pit, plenty of wood all ready to use. If you don't like to hike just relaxing in the garden is amazing. A superbly peaceful and relaxing holiday in beautiful surroundings. 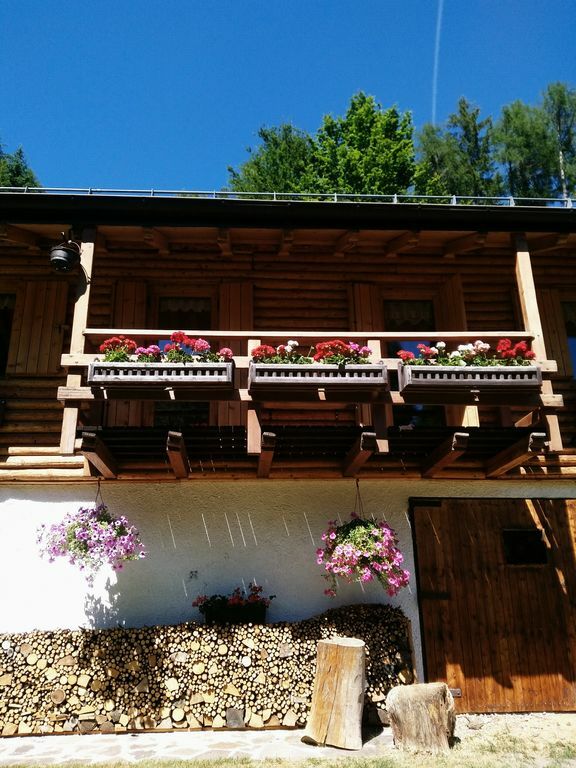 This place is a real get-away from it all and offers the maximum of tranquility possible, matched with a wonderful views and a lovely chalet. Perfect!